In this post, I am going to introduce an android application for teachers. Android is the ideal platform for developing such an application due to the wide variety of devices it supports. 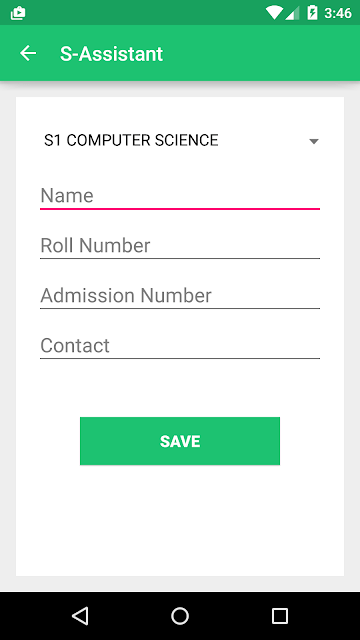 This Android app for teachers support basic functionalities such as adding student to each class/department, save notes, make schedules for classes etc. It also provides a CGPA (Cumulative Grade Point Average) calculator that basically calculate grade point average from the given grade points. The First Activity Contains a Grid view that provides the connection to basic activities. 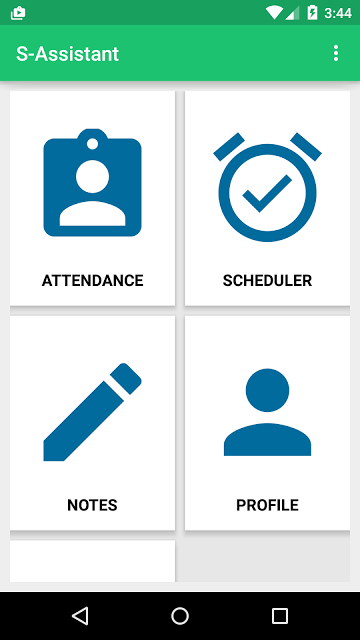 The Attendance module is added to take attendance and store it in a database. The scheduler is basically used to schedule a particular event so that teachers won’t be needing another application as reminder. Notes provides an easier way to save notes easily and quickly. Notes can also be associated with a subject so that it will be popped up when the teacher takes attendance for that subject. Profile Module provides support to view and edit student data, along with activity to add new students. Simple sqlite database is used to store data through different tables. The code is used to create or open the database in private mode. After opening the mysqli database all normal mysql operations can be performed on the database. I always prefer executing custom sql queries. So I have made 2 functions called execQuery and execAction. The execAction uses execSql function to execute INSERT, DELETE OR UPDATE operations on the database. execAction returns a cursor which can be used to get the rows returned from SELECT query. As denoted earlier, the first activity contains Android Grid Layout which helps the user to easily find the content they are looking for. The following code is the layout XML for AppBase Activity. The Grid Layout has both width and height and Match Parent so that it will fit into the whole screen. Now let’s understand the code for the first activity. From the onCreate() method, we have inflated the xml layout. The database handler is defined as a public static variable so that it can be accessed from all other activities without the need of declaration and initialization. I have used a custom adapter for the grid view called gridAdapter. The gridAdapter should get the images and list of title to show the grid view. Here, I have passed the ArrayList basicFields as header and the images are loaded from the adapter itself. This will set the adapter as the adapter for grid view. 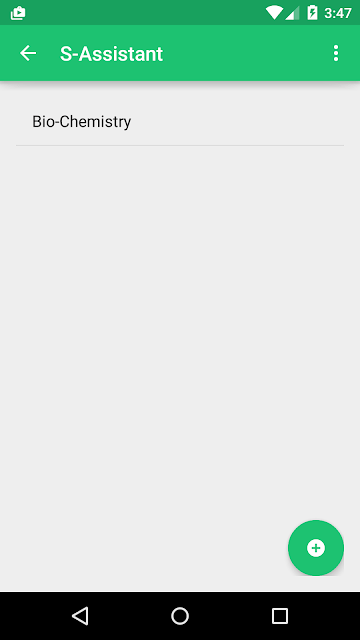 Now Let’s consider the Custom Grid Adaptor for handling Grid view. The custom adapter GridAdapter extends Android’s BaseAdapter and implements its methods. In the getView method, we have inflated both the title and ImageView using an if-else case. 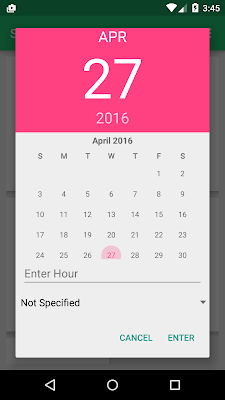 Create request dialog is created when the user clicks on Attendance view in the Grid Layout. An onClickListener is added for the view v in the above code. The dialog takes the date and hour(period) along with subject which is to be taken by the teacher. 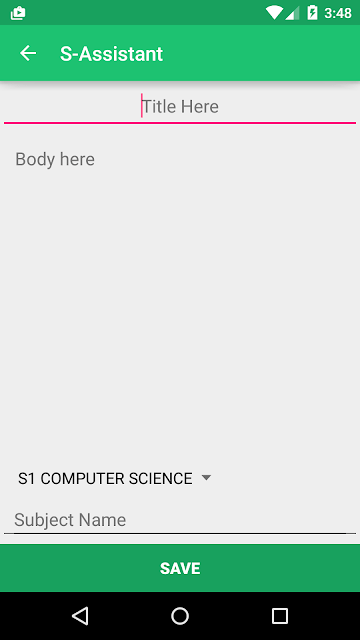 A notification module is added which will notify the teacher about the notes available for that particular subject once they click on the Enter option. Moreover clicking the Enter will launch new Activity called AttendanceActivity. 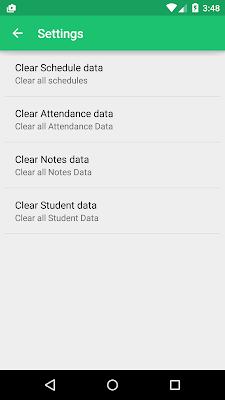 In order to start the attendance activity, DATE and PERIOD data is passed through the intent. It is then accessed from the second activity and processed. Setting activity provides option to clear application data. It wipes all the data from the database once selected. The following data can be cleared. Then for each preference entry event handler is provided using the code. 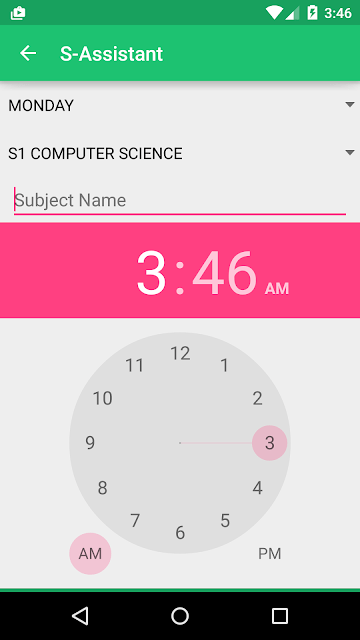 That’s all about the first activity of S-Assistant from Android app for teachers. There are many other modules in the program. I feel it is not a good idea to explain them all. Get the project source code from the following link.